How trade marks make history. 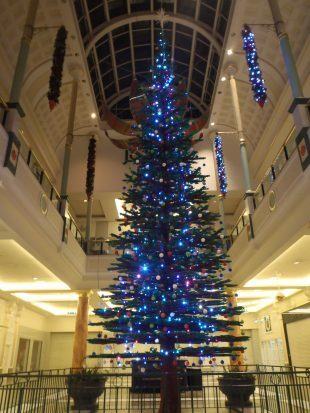 It doesn’t grow on trees - LEGO® Christmas tree by Bright Bricks at Manchester’s Trafford Centre. A film about a brick doesn’t sound particularly appealing. But the statistics concerning Warner Brother’s 2014 LEGO Movie confirm that you don’t have to look good to tell a great story. Worldwide box office sales of over $450 hundred million confirm that Emmet Brickowski’s journey from anonymous construction worker to hero has global reach. It also illustrates the power of a great trade mark created by another previously unknown artisan Ole Kirk Christiansen, who first started making wooden toys in Jutland, Denmark, in 1932. It wasn’t until the 1950s that the LEGO® brick as we recognise it was developed. It was applied for as a trade mark in the UK on 11 June 1956. The trade mark LEGO, a combination of the Danish words ‘leg godt’ meaning ‘play well’, distinguished an indispensable toy. Last year it was estimated that over 600 billion LEGO parts had been produced. Today the LEGO brand is no longer just for kids. The LEGO Movie perfectly captured this cross-generational appeal. It was a critical and commercial success, taking nearly $500m since its release a year ago. It has helped propel LEGO from a well-loved, strong brand to the World’s most powerful. Today, LEGO trade marks encapsulate a brand identity that does more than cross borders, it bridges boundaries between fact and fiction. At the end of the movie, Emmet, a plastic brick, interacts with the real world, connecting a father and his son. The trade mark LEGO became a little more tangible and reality itself became a little more like the mark. The LEGO company’s individuality resided, in part, in its famous patent-protected clutching bricks and its bright, iconic design style. Nowadays its identity is also found in its trade marks and the stories they represent. LEGO trade marks form an intangible bridge between narrative and engineering (or copyright and patents). The LEGO narrative is a way of thinking as well as a way of attaching, in the UK it is inspiring British innovators. Of the professional builders and artists working in the medium of LEGO in the UK, there is only one Certified LEGO Professional: Duncan Titmarsh is the UK’s real-life version of Emmit Brickowski. His LEGO brick building career began in a garden shed and has grown into the Hampshire based Bright Bricks LEGO brick construction business. Together with his business partner Ed Diment, Titmarsh has built an economic and creative force in its own right. Bright Bricks has built life size caravans for trade shows, designed teddy bears for Stella McCartney and built a world record breaking 12.2 metre Christmas tree, putting Bright Bricks’ work on the same scale as William Henry Barlow’s St Pancras Station (once the holder of another world record - for the largest single span roof in the world). 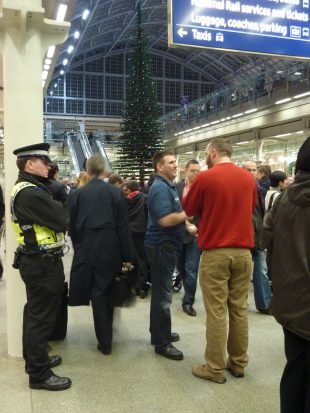 © Bright Bricks - 700,000 LEGO bricks dwarf St Pancras Station. Other specialists who began playing with the bricks as children have grown up to become artists taking LEGO bricks in equally unexpected directions. 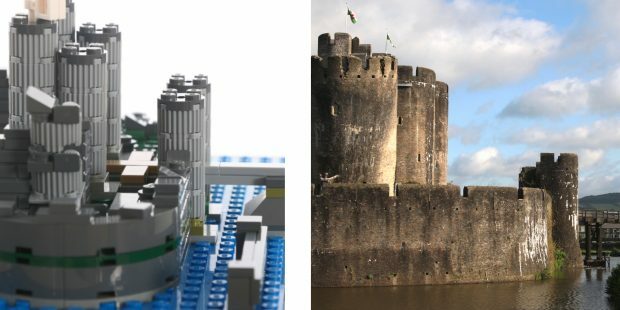 In Caerphilly, for example, one of the UK’s biggest castles is being reconstructed as a LEGO toy. The LEGO company’s ‘discover’ initiative enables any LEGO brick user to put forward an idea for a LEGO model – even real buildings can be transformed into LEGO versions. Caerphilly Castle – with enough votes we can all repair the famous leaning tower. Wales has an incredible history, that we are all immensely proud of. 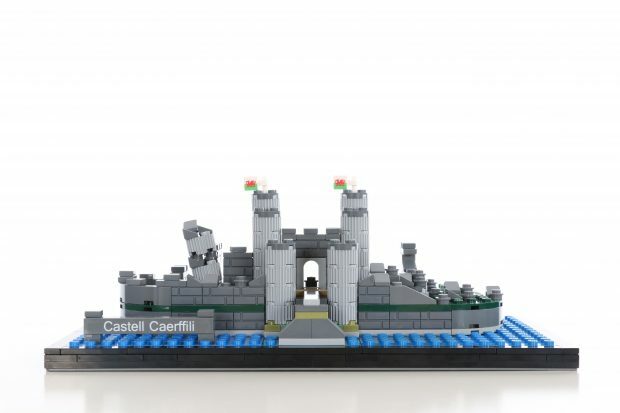 Caerphilly Castle is deserving of a spot in the LEGO architecture range alongside the Louvre in Paris and Venice’s Rialto bridge. I hope that the people of Wales support our bid which could see the model available in LEGO stores the world over – one day we may even see a Welsh collection featuring more of our inspiring sites.